Subject: India Pavilion at KOREA PHARM, Kintex, Goyang, South Korea from 16-18 April 2019. All the stalls will be furnished with minimum furniture. We are happy to inform you that the organizer has assured to arrange minimum 5 to 7 Buyers from Korea and arrange One-to-One Meetings with the exhibitors participating in Indian Pavilion through Pharmexcil. 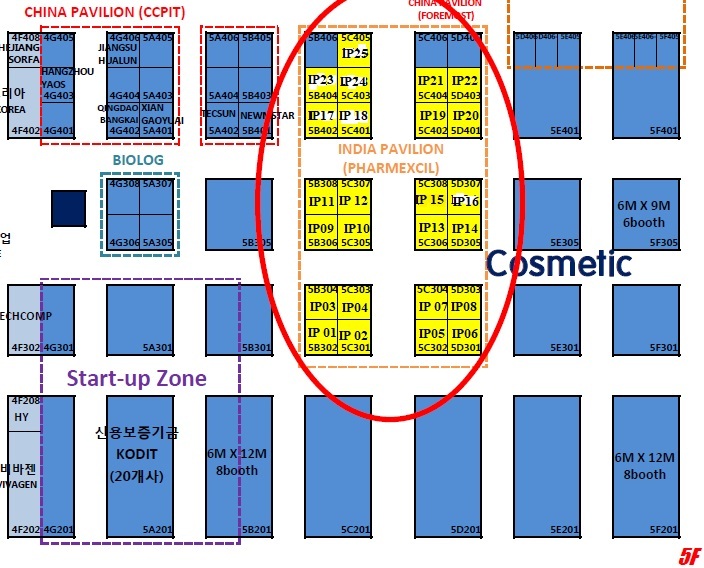 Members may please click on the following links to see the overall floor plan of Korea Pharm and also India Pavilion. Stalls will be allotted to the members on first-come-first-serve basis. Members may select the stall and inform us their choice by email to dd.smk@pharmexcil.com. Members are required to make the full payment within 5 days of making reservation, failing which their reservation automatically gets cancelled. Cancellation is not allowed once the stall is allotted. Amount paid will be forfeited. For further details, Members may contact Mr. Murali Krishna, Joint Director at dd.smk@pharmexcil.com Tel: 040-23735462/66.